For the first time in a long time, Lydia Pallas likes where she is. Her job as a translator for the U.S. Navy is secure and her cozy apartment is her haven. She enjoys the companionship of her coworkers and treats the occasional headache with a dose of Mrs. Winslow's Soothing Syrup. When Alexander Banebridge enters the picture, Lydia's orderly life is suddenly a lot messier. From his annoying habit of rearranging items on her desk to his revelation that Mrs. Winslow's Soothing Syrup contains opium, Bane brings disorder, intrigue and danger to Lydia's ways. Lydia and Bane find themselves falling for each other, but their relationship is doomed by Bane's goal of ending the opium trade and his commitment to bachelorhood. When an innocent boy is kidnapped, helping Bane will test Lydia's courage and strength, but if she survives, their love just might have a chance to flourish. 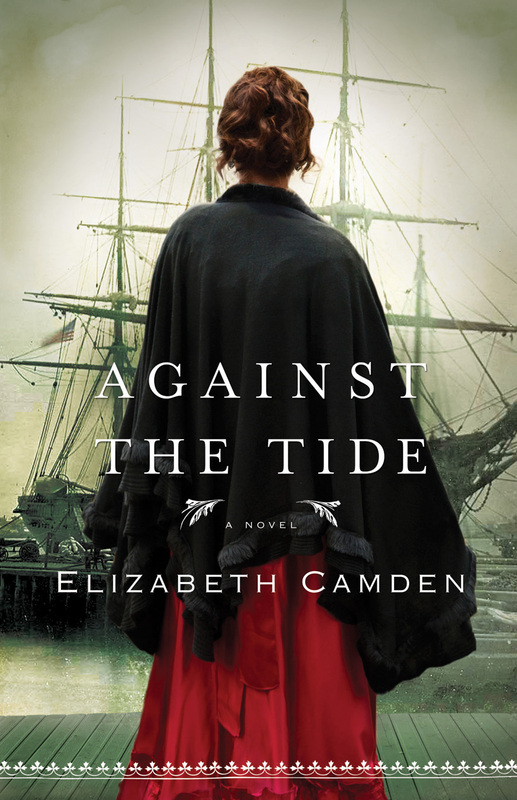 Against the Tide by Elizabeth Camden was an intriguing read. I enjoyed the bantering between Bane and Lydia and appreciated Camden's creativity in her characters. Bane had a few quirky habits that made him refreshingly unique. I wouldn't consider this a suspense novel, but it did have some suspense that kept drawing me back to the story. I found the historical aspects of the story interesting. How sad that Mrs. Winslow's Soothing Syrup not only existed and contained opium, but was marketed for teething babies. On a side note, I absolutely love the cover of this book It definitely captures the essence of the story. I recommend this book to fans of Christian historical romances. I did not initially realize that Against the Tide revisits the Alexander Banebridge of Camden's previous novel, The Lady of Bolton Hill. I can't say if Banebridge appears in Camden's other novel, The Rose of Winslow Street, because I haven't read it. However, Against the Tide stands firmly as a single novel, complete with the necessary background information.